The CWU’s announced this morning that it will hold a national strike ballot unless agreement is reached with Royal Mail on a range of issues. Please see the statement we have issued in response to below. 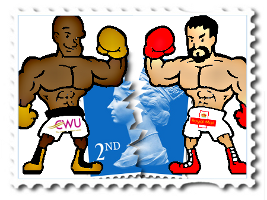 Royal Mail is disappointed that the CWU has announced it intends to call for a national strike ballot of its members in Royal Mail at its policy forum today (August 1 2013). Talks are on-going between Royal Mail and the CWU and we are committed to seeking an agreement. Since 2011, Royal Mail has been in talks with the CWU to reach a new agreement following the Business Transformation Agreement 2010. Parcelforce Worldwide employees are not included in the proposals being debated by the CWU. Royal Mail proposed a legally-binding three-year highly competitive agreement to deliver its agenda for growth and industrial stability that included an 8.6% increase in base pay over three years. It has been rejected by the CWU. We believe that a ballot on strike action is inappropriate. Disrupting the service Royal Mail provides to its customers is not helpful. Royal Mail operates in a very competitive market, especially in the parcels market. We recognise that customers have a choice and can move their business very quickly. We want to reach agreement with the CWU as soon as possible to give customers and employees continued stability.